Solar flares are abrupt brightenings in the solar atmosphere. The released energy is emitted throughout the entire electromagnetic spectrum, from radio wavelengths to high energy X- and γ-rays. These spectacular events are often accompanied by expulsions of coronal plasma, called coronal mass ejections (CMEs), and by the acceleration of highly energetic particles. Although life on our planet is not threatened by solar eruptions, instruments on space as well as several ground-based infrastructures are vulnerable to these phenomena. For this reason, scientists across the globe put considerable effort into trying to predict solar flares and associated phenomena. We know that the energy that powers solar flares and eruptions is stored within the highly twisted magnetic structures of the solar atmosphere. These structures consist of strands of magnetized material and overlay active regions, i.e. regions of intense magnetism, also hosting sunspots. In the solar corona, these complex magnetic fields reconnect, changing their configuration and shedding part of their stored magnetic energy as flares. According to theory, two kinds of electric currents run along each magnetic loop, one of them maintaining its twist and the other its isolation. Although these electric currents should neutralize each other along each loop, observations have shown that this is not always the case. Unneutralized (or non-neutralized) currents means that net electric currents are injected into the corona, where they may power solar flares. Unfortunately, we cannot, for the moment, measure the magnetic field in the corona accurately and systematically. Instead, we rely on measurements in the photosphere, the visible surface of the Sun. There, the footprints of the magnetized loops appear as patches of intense, opposite-polarity magnetic flux. Using photospheric magnetograms, i.e. maps of the magnitude and/or direction of the magnetic field in the photosphere, we deduce parameters that quantify the eruptive potential of solar active regions. These parameters may represent e.g. the stored energy, the size, and strength of the magnetic field, electric currents, twist, etc. and have been used in several prediction models. We inferred the magnitude of the unneutralized electric currents in the photosphere using magnetograms regularly provided by the HMI (Helioseismic Magnetic Imager) instrument onboard the SDO (Solar Dynamics Observatory) mission. Our method includes a detailed error analysis and strict selection criteria on current non-neutrality. 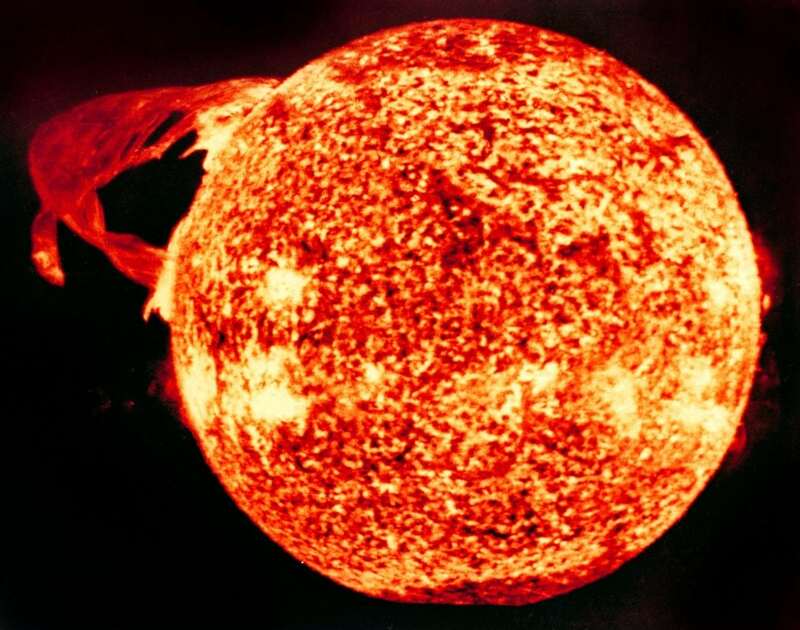 We thus characterized solar active regions by their total amount of unneutralized current. Active regions that produced no flares contained more than ten times less unneutralized electric currents than flare-productive ones. In fact, even within the same active region, the amount of non-neutralized currents increases dramatically when this region enters a flare productive phase. These intense currents are exclusively related to strong shearing motions at the photosphere, at the borders between neighboring, strongly interacting opposite-polarity magnetic patches. These motions are long known to precede solar flares. We studied a representative sample of ~10,000 regions of interest of the current Solar Cycle to see how the total amount of non-neutralized currents links with flare occurrence. We showed that non-neutralized currents produce high flare probabilities, within the following day, overperforming other well-known flare predictors. Unneutralized currents can be useful in automated schemes aiming to produce flare forecasts. They are used, along with other predictors in FLARECAST, a consortium of nine European institutes that aims to produce an innovative, fully validated prediction service. These findings are described in the article entitled Non-neutralized Electric Currents in Solar Active Regions and Flare Productivity, published in the journal Solar Physics. This work was led by Ioannis Kontogiannis & Manolis Georgoulis from the Academy of Athens. Manolis is a visiting professor at Georgia State University. He previously served as a research scientist at the Academy of Athens.